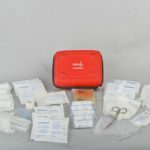 HealthFirst First Aid Kit Goes On Sale! My Child Is Having A Seizure! Yesterday, Dr Penny trained 8 teenagers from an international school in Geneva. It was a session full of serious concepts like how to recognise someone having a heart attack, how to make that important call to alert the emergency services (in English and in French)….